Financial statements are prepared for the purpose of representing the financial performance of a person or an organization. 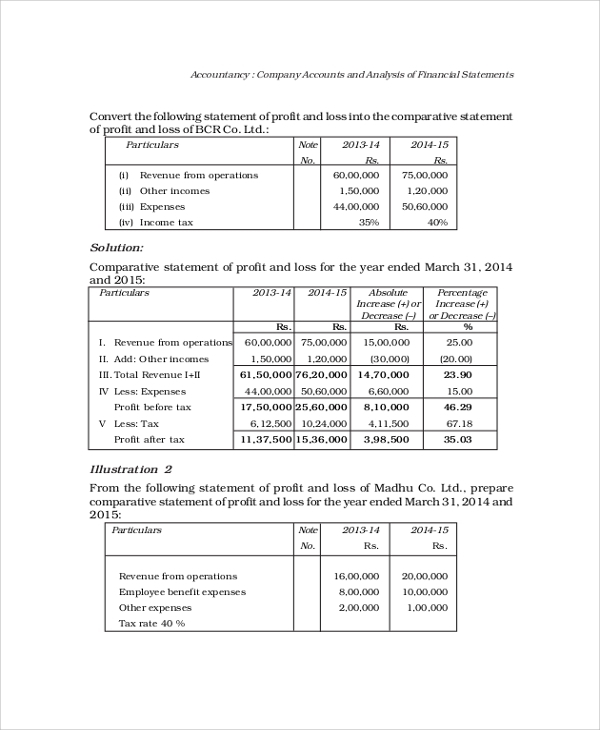 Financial statements are also considered as financial records. 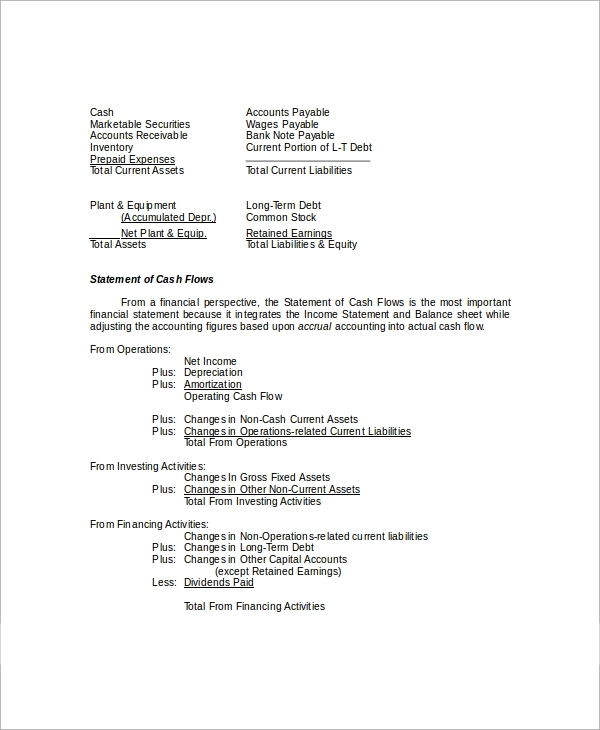 For example, a bank statement or income statement is also known as a financial statement. It is used for the purpose of showing records of monetary transactions on a person’s personal account. 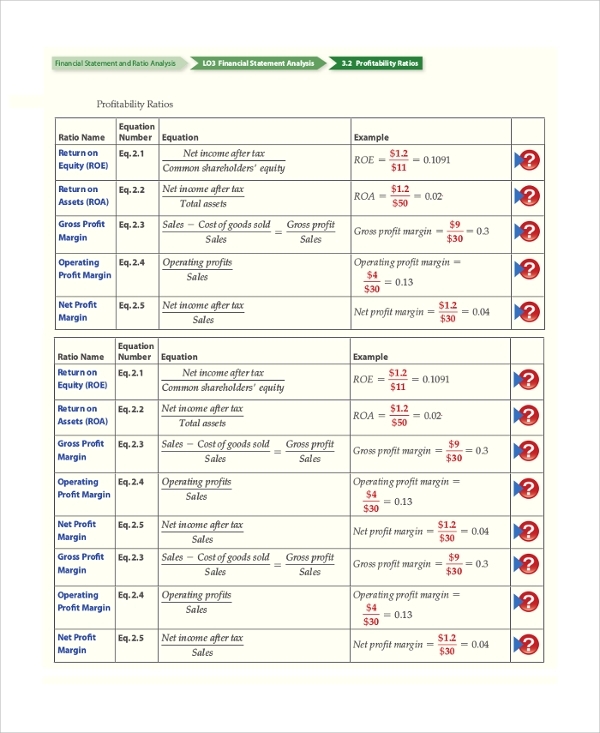 Different types of Financial Ratio Analysis methods are there, and financial ratio analysis is one of them. 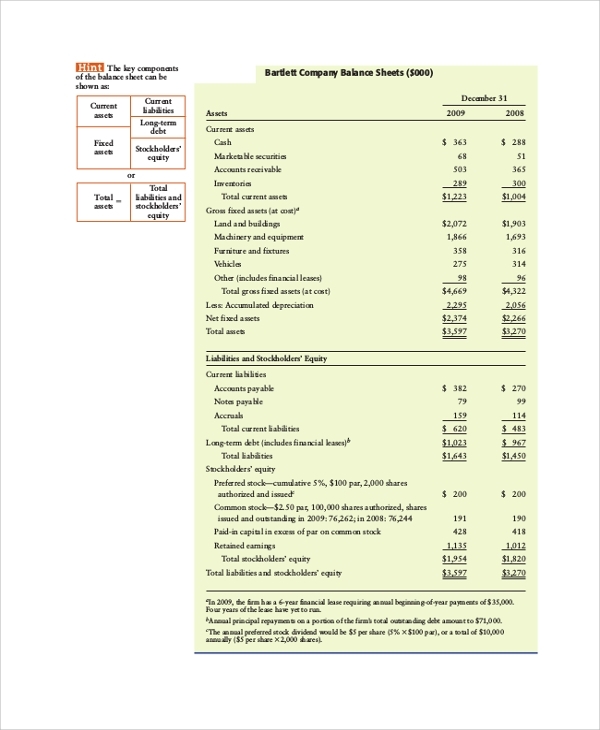 To create financial statements, using samples is the smartest thing to do. 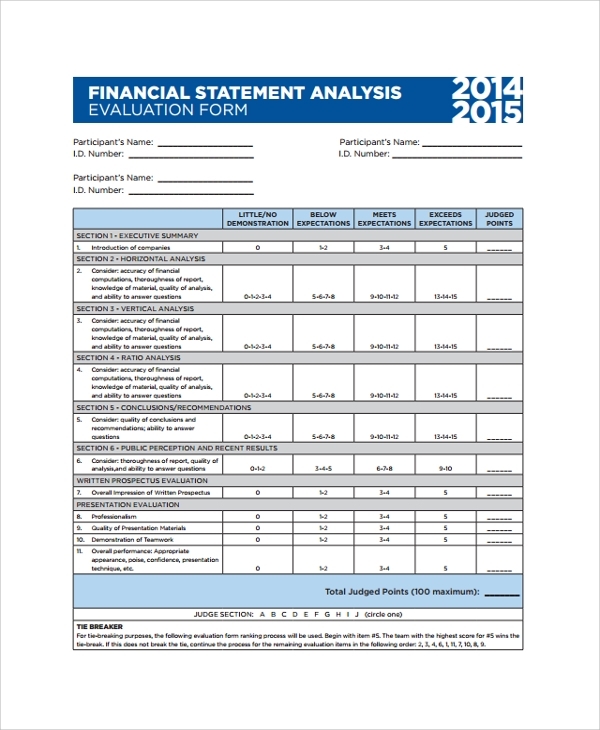 This is a sample evaluation form for financial statement analysis. The financial statements play major roles in the decision making process within a finance based organization. You can use this form for that purpose. The financial ratio is basically comparing different financial data so that mathematical expressions can be achieved. 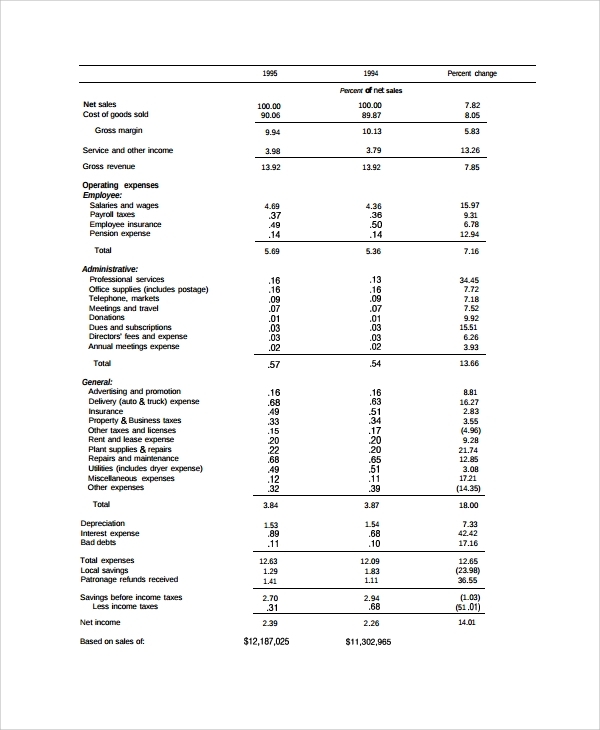 Use this sample statement for creating a presentation for the financial ratio analysis with flawless accuracy and precision. Banks need to prepare financial statements for their clients or customers. 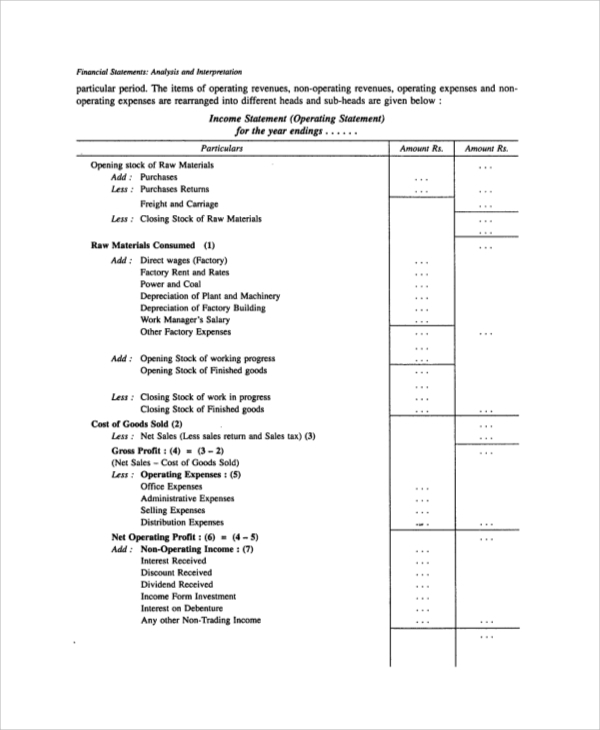 Bank financial statements are required for various purposes. From applying for credit cards to getting house loans, you need to produce a bank statement. Financial statements are prepared by financial executives who collect raw financial data and create a systematic as well as standardized statement through the collected data. The statement has been used for understanding or analyzing the financial performance and position of an organization. Performance of an organization has to be judged with precision so that future financial decisions can be taken with perfection and accuracy. Financial experts, managers or advisors have to check various financial statements of the organizations or individuals to understand their financial situation. According to the situation, they produce innovative ideas, suggestions or advices for their clients. 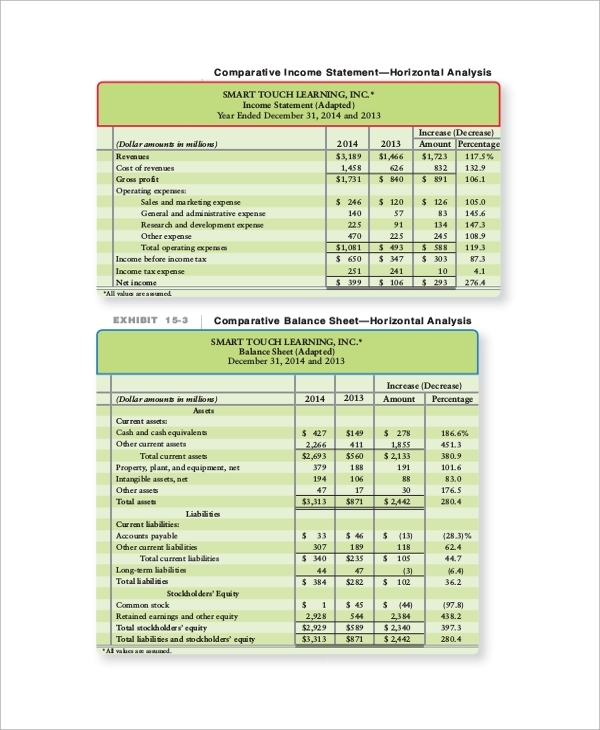 Who Needs to Perform the Financial Statement Analysis? 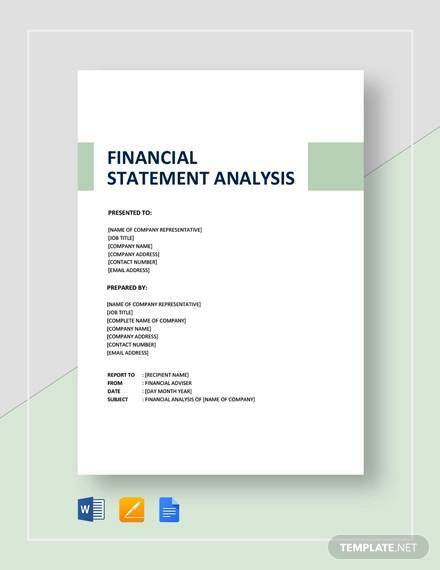 As the name suggests, a financial Statement Analysis Samples has something to do with the financial standing or position of a company or organization. Now, financial statement analysis should not be a job for the novice people. Only professional financial experts or advisors have the insight and wisdom to perform the financial statement analysis with accuracy. The analysis should be written on a piece of paper so that it is easy to be understood for everyone. Not just a report, sometimes financial experts have to create pie charts or other visual expressions to present or furnish the financial report to their clients. 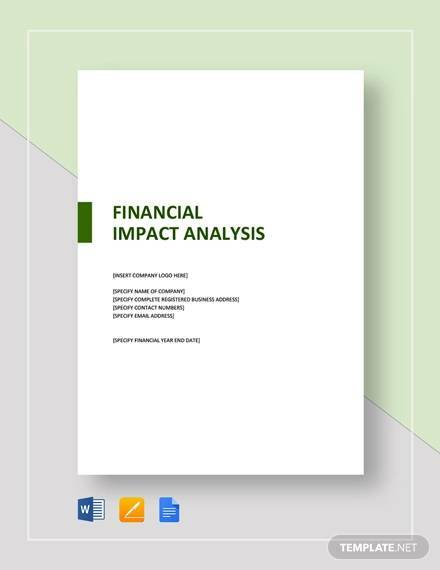 It is important to analyze the financial positions of an organization time after time so that the financial performance of the organization can be understood. Understanding the financial performance of the organization is important to keep it active and seamlessly running. Moreover, important decisions for the company are required to be made by the business managers. For their decisions, they have to heavily rely on the Financial Statement analysis of the organization. 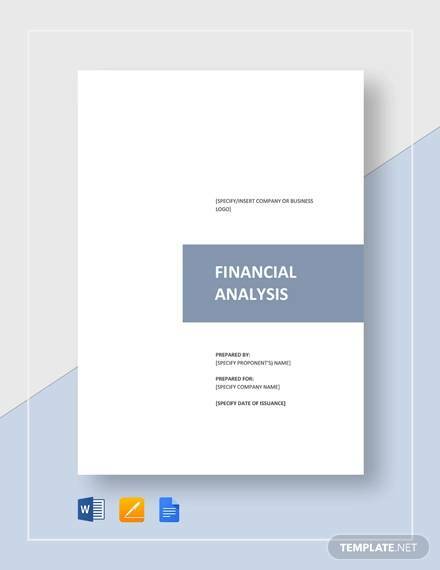 Financial experts need to prepare reports on financial statement analysis. To make seamless and accurate reports, online templates or samples can be used. 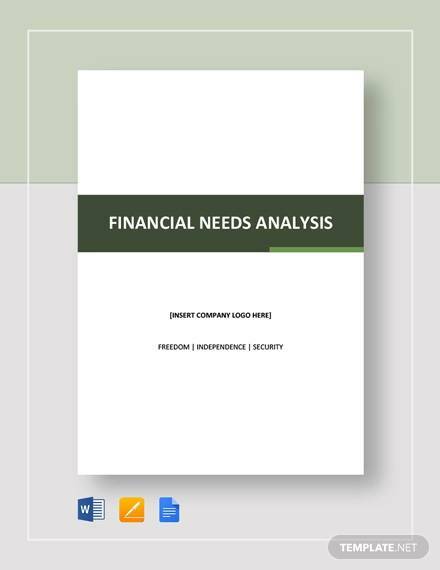 For a financial data analysis or financial statement analysis, financial experts need to create a final report for their clients. Normal people do not understand financial jargons. Thus, the job of financial advisors is to check the financial statements of the business and prepare a report accordingly. The report will let you know the company’s performance in terms of finance.